With a blow to Indian households, RBI on Wednesday has confirmed fears that will further raise the price of goods and services than what was previously estimated. 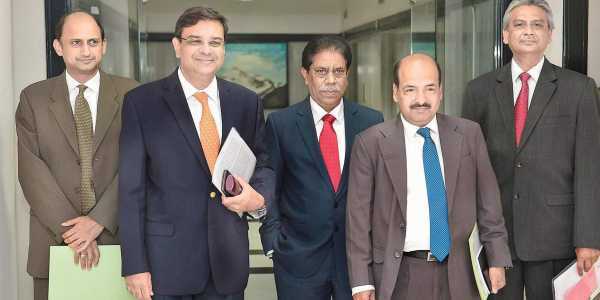 Things were clear when the Monetary Policy Committee produced their bi-monthly statement of FY19. The inflation forecasts were revised to 4.8-4.9 percent from 4.7-5.1 in the earlier prediction for the first half of the fiscal year and for the second half, it is estimated to be 4.7 percent from 4.4 percent in the earlier estimations. A statement from the committee said, “Actual inflation outcomes since the April policy have evolved broadly on the lines of the projected trajectory. However, there has been an important compositional shift. While the summer momentum in vegetable prices was weaker than the usual pattern, there was an abrupt acceleration in CPI inflation excluding food and fuel”. There is a volatility is crude oil prices as well. It shot up in two months from $66 to $74 now. This will pose a great effect on the domestic household inflation expectations, the wages and input costs, and house rental allowances as per MPC. The committee further said that the prediction of good monsoon this year might go benign over the food inflation. A good monsoon augurs well for the agricultural sector but the revision of MSP of the khariff crops is not possible due to the inadequate data. The GDP forecasts remained unchanged at 7.4 percent for FY19 and it is likely to increase to 7.5-7.6 percent in the first half and 7.4-7.5 percent in the second half of the. The committee said that the investment activity is going well and it will receive further boost from the stressed assets. Be the first to comment on "House Loan EMI’s To Go Up, Goods and Services to Get Costlier"